With every passing day, mobile apps are becoming a necessary part of human lives. We are getting more and more dependent on mobile apps for our day-to-day needs. Whether it is buying stuffs, paying bills or tracking daily physical activities, there is a mobile app available for every single need. In other words, we can say that, mobile apps are playing a vital role in making human lives much easier and comfortable. 1. 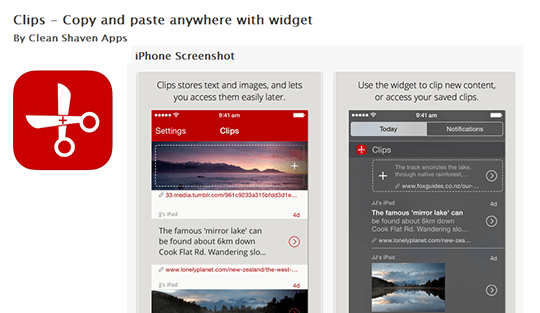 Clips: This is one of the revolutionary iOS 8 apps in the recent times. Clips is a clipboard manager apps that help users in moving texts around like – URLs, quotes, strings of texts, username, etc. without manually switching between apps every single time. This app makes social media posting very easy and helps users in sharing important data in just a few clicks. This app saves a lot of time, human efforts and, provides a flawless data sharing facilities. Clips, iOS app, is available free download, click here to download. 2. Argus: This mobile apps is one complete solution for all your health and fitness needs. Argus works as a personal trainer who keeps a record of your daily physical activities like – water intake, daily steps count, running, cycling, and workout, etc. The other interesting thing that makes this mobile app must download is its highly-engaging user-interface that show day-to-day comparison of your physical activities. This day wise comparison of daily activities motivates users to work harder for achieving their health and fitness goals. 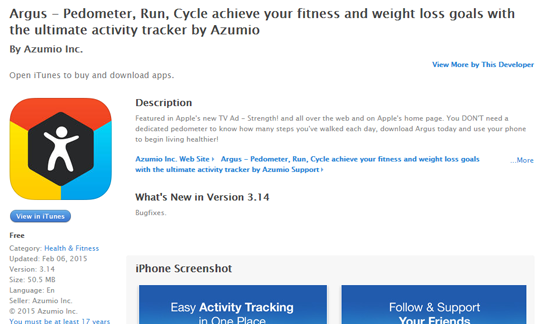 Argus also supports third party wearables and is also compatible with Apple Motion co-processor. 3. EverNote: If you find it difficult to remember things, then this app is a must download for you. Evernote is a complete management app that helps users to work more effectively and systematically. Users can note down things running in their mind anytime, anywhere on Evernote in form of text, image or voice. This app not just help users in remember things but also offers a effective data management facilities on their iPhone and iPad. 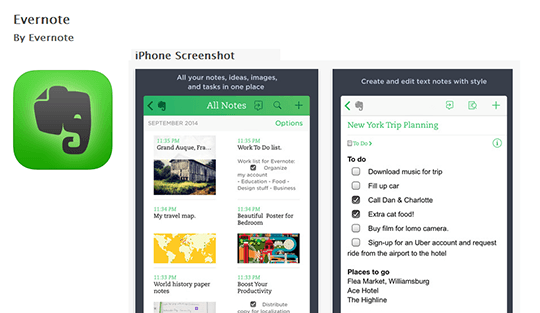 Here is the Free download link to Evernote app for iPhone/iPad. 4. 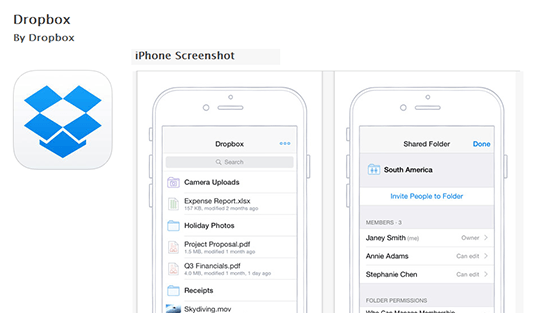 Dropbox: There is no doubt that Dropbox is one of the most innovative and resourceful web and mobile app concepts. By using Dropbox, you can easily access, share and store text, images, videos on you iPhone, iPad, iPod, and laptop, etc. Dropbox gives you the freedom to control your data from anywhere, anytime without compromising the privacy. Dropbox is available Free download on app store, here is the download link. 5. Whatsapp: This is one app that doesn’t need any introduction. 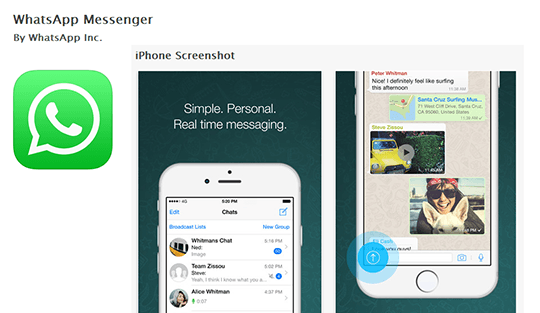 If, in case you’re using any other messaging app then you really need to check out Whatsapp. With over millions of downloads, Whatsapp is undoubtedly one of the most successful mobile apps across the globe. Whatsapp offers a highly simplified user-interface that offers uninterrupted texting, videos, and, picture sharing, etc. Users can download Whatsapp on their iPhone/iPad by clicking on this download link. We hope these iOS apps will take your smartphone experience to the next level. We put a lot of efforts and research work to come up with the best of the mobile industry to our readers. Being a well-known name in the mobile apps design and development, TechAhead also believe in bringing the latest update and news from the mobile apps design and development sector.